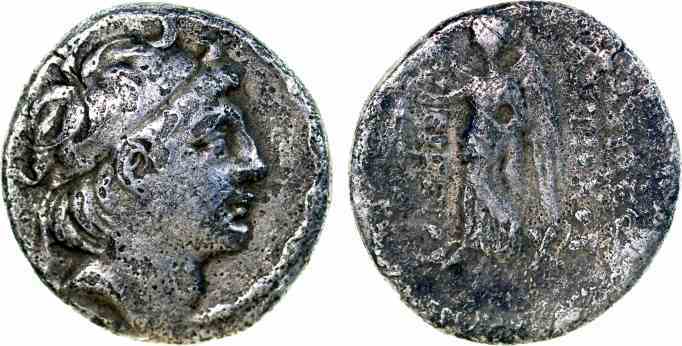 Silver drachm, 17mm, 3.58gm, issued 138-129 BC. Rev: BAΣIΛEΩΣ ANTIOXOY EYEPΓETOY, Nike advancing left holding wreath. References: Sear 7096, HGC 1090, SC 2062.2.